On Sunday I ended up experimenting playing more tables at the same time, cause I was getting bored playing 20. Basically, in this format 2/3 of the tournaments are lost, which is hard to handle psychologically, even more so when we see that we are losing. Therefore, I decided to experiment by increasing the number of tables so that I wouldn't constantly keep an eye on the results. I tried going up to 45 tables, but that's a lot for me, I think that until my new disc arrives and the computer lags less, I can play 35-40 tables. Most of the time I was playing 30 tables simultaneously and it's doable. It was less tiring than the previous format. I ended up playing a total of 1714 sngs that day or... 13,669 VPPs! I have 20k VPPs for the month, which is a bit behind than what I was hoping for, but considering the number of tables that I can play, if I'm not a losing player at this format, I believe that next week I will be back at the desired pace. As you can see in the graphic, this has a lot of variance. I have to see how it looks when I have played 4x more sngs. I contined studying the $74s and played a few. I'm losing 26.6 buy-ins after 873 games, which doesn't mean anything. As I started losing at a "new" format, I started having doubts about my ability to be profitable at this format: "And if I don't make it?" It's something normal and I think what's important here is to have a plan in case things go wrong. The next question is... "How many buy-ins do I have to lose until I feel the need to give up?". I belive that I already had downswings of 100 bis in the previous format, so 200 would be a good number, since this format has more variance. As the strategy may vary, I decided that reaching 200 buy-ins I'm going to study even more intensively the game and correct as much as possible the possible leaks in my strategy. If after that, I continue to play and go down to 300 buy-ins, I will give up on the format and try something else. I can also be profitable in January and about that there is nothing to worry about, but it's better to have a plan for every case, like that no matter what happens, it's still according to the plan! You can accompany my all-ins at PokerStars, I promise you that there will be a lot of action! I went to spend New Year's Eve in Athens with my girlfriend. It was fun, since they have some traditions that are a bit different than the ones we have in Portugal. 1) The gifts are opened at midnight of 1rst of January instead of 25th of December. 2) On the first day of the year, the first person to enter the house has to bring a religious picture, sugar and a pomegranate. They step into the house, throw the sugar on the floor and throw the fruit with force on the floor! It's to bring good luck for the year. The past 3 days I've slept 12h 12h 8h at night, which was good to regain strength. It's impressive how much better I was feeling after two nights of full sleep. Yesterday I had a coffee and it took me a while to fall asleep, which is why I only slept 8h. Yesterday I also went to the gym, I hadn't been there since November and it went well, even though I'm a bit sore. I noticed that apart from my working space, I still haven't showed anything from my house. Would you like to see the rest? Photos or videos? In 2010 I talked a bit about goals. It's not that I haven't been achieving the goals that I set for myself, but I've never had goals that were outlined in detail. During the biggest part of the year I didn't know if I would make it to SuperNova Elite in October, December or if I would make it at all. I didn't know what to expect from live tournaments, main events, side events, etc. I also started playing the hyper-turbo satellites in March and I didn't know what to expect from those either. 2010 was a year of experimentation, maturation and consolidation! for 2011 I have a group of well defined goals and a work plan to achieve them, based on my experience. It's going to be my 3rd full year of professional Poker and my 2nd year as SuperNova Elite and member of the PokerStars Team: Online. In this post I'm going to talk about my 2011 resolutions. It's possible that some variables will change and in that case I'll have to change them during the year. The past years I got close to 1M VPPs. This year, I want to optimize the value of the points and not lose the 5x multiplier of SNE in October. After that for the last 3 months of the year, I'm going to slow down a bit and play to get the next milestone of $10K of the 1.25M VPPs. As for charity, I have the money from the FPPs of 2010 set aside. I'm waiting for the responsable of the institute to contact me in order to transfer them the money. In 2011 I want to contribute more, for that since the beginning of the year I'm going to put aside for charity10% of what I make. 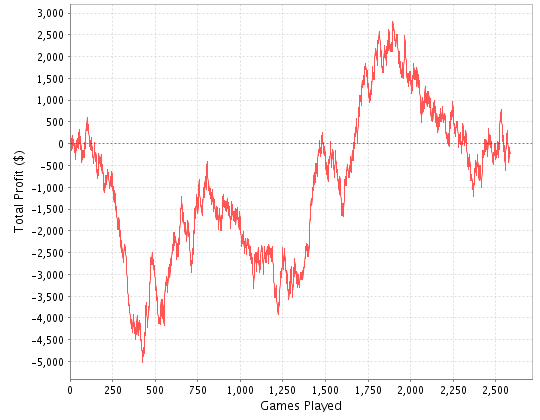 I think I'm making more money in a consistent way playing sit-n-gos than MTTs. Another advantage is the schedule, cause I always know what time I start and what time I stop playing. For those who play professionally that's very important! Even so, I'm going to play the M.E. of the WCOOP, since it's offered to the SNE from PokerStars, but I don't plan to play much more than that. The plan for now is to play the sit-n-gos hyper-turbos of $74, that are substituting the old ones of $88. It's going to be more work, since they give less VPPs, but we have to work with what we have. It's not necessarilly the most fun format to play during a whole year, but there are a lot of advantages for whoever plays professionally. It's good to play a big volume and get consistent results probably on a monthly basis or at least every three months. They also don't take longer than 10 minutes, so they allow a bigger flexibility as far as time is concerned. This year I'm going to try to take 15 days of holidays during the summer and 15 days of holidays in December, so I keep that in mind in my plan for 2011. As for the live tournaments... I will probably play 4 EPTs: the final, Vilamoura, Berlin and Barcelona. Maybe I will also play the m.e. of the WSOP, but I haven't decided yet, cause it requires a lot of travelling time. For now, I don't have plans to play any more tournaments in Portugal. The only goal is to have a bigger self-control at the important moments. If you have a blog, I suggest you too write about your goals. Once again, I wish to all the readers a happy new year! I am on holidays and it's great! It's good to be a few days without doing anything, getting energies and after a while get the feeling of going back to work. I have been using my 14' laptop during my trips, but it stopped working and since it's out of warranty, it's not worth to get it fixed (it would be more expensive than what the computer is worth). I was hesitating among buying an Ipad, a macbook air or a sony vaio vpc-z12z9e/x. They have 3 very different concepts. The Ipad is basically a machine to reproduce media and it's not exactly what I need. Macbook air, is very nice esthetically, it is light and it fulfills my needs on the short term, but the quality/price ratio is very bad. Sony vaio has a fantastic performance, not far from the one my desktop has, but it costs a considerable amount of money. As for my desktop PC, I'm pretty satisfied with it, apart from the disc that slows it down a bit and sometimes it becomes a problem when I'm playing 20+ tables with the HUD running. My next investment on the PC is therefore going to be an SSD disc. Anyone has something to recommend? As far as Poker is concerned, I only played the Turbo Takedown on Sunday, the Battle of the Planets and some special tournaments of the readers of my blog. I apologize to the M.N. people for not playing the tournament, but when I went to register I couldn't, I don't know why. At the Battle of the Planets I think I had KK/AA around 6 times, but I only managed to get some action one of the times I staked a player that had TT. I ended up losing with 55 or 66 against KTs, where I raised from the button and he chose to 4bet allin when I had 3betted and was comitted. It's not that I mind at a shootout to put my money on a pair against KTs, but it would have clearly been better if he had given up on the hand! I think I still have around 6 tickets, so I still have some chances to repeat the final table! I was also the host of the Sunday Million last Sunday and it was nice to see Poker action of high level, which is not always possible at the end of so many hours of play due to tiredness. I suggest you see the free replay on PokerStars client. PokerStars changed a few things in their VIP system and once again changed everything to something better! Each time the FPPs have more liquidity for who aims to get to the higher statuses and that will facilitate the bankroll management of whoever tried to achieve SuperNova Elite during the next years. Also, the 1rst edition of PokerStars The Big Game is finished and it's probably the best cash game that has been recorded until today. I think that the dynamic of having a loose canon playing against 5 professionals PLH pre flop with NLH post flop is brutal. If you haven't seen it yet, you can watch it for free at pokerstars.tv. Still in relation to pokerstars.tv, they have also started having there a program called HighStakes Poker. You can watch season 6, also free. As for the rest... I'm only missing to wish to all my readers happy new year, full of big pots and lots of prizes from tournaments!